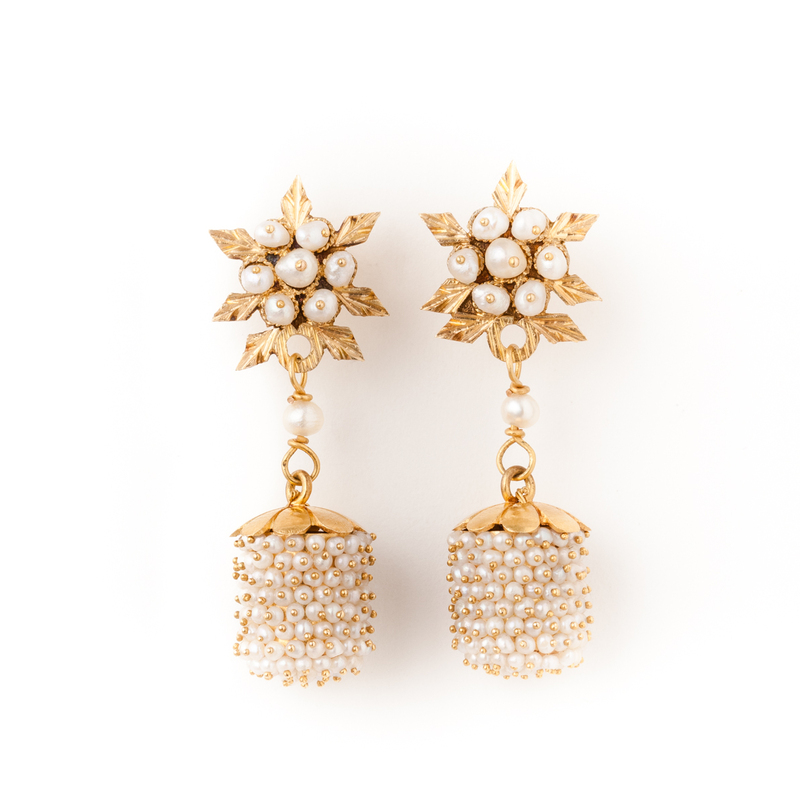 This set of precious earrings are referred to as a mora, blackberry-shaped, and it is representative of the Sardinia’s original goldsmith tradition. 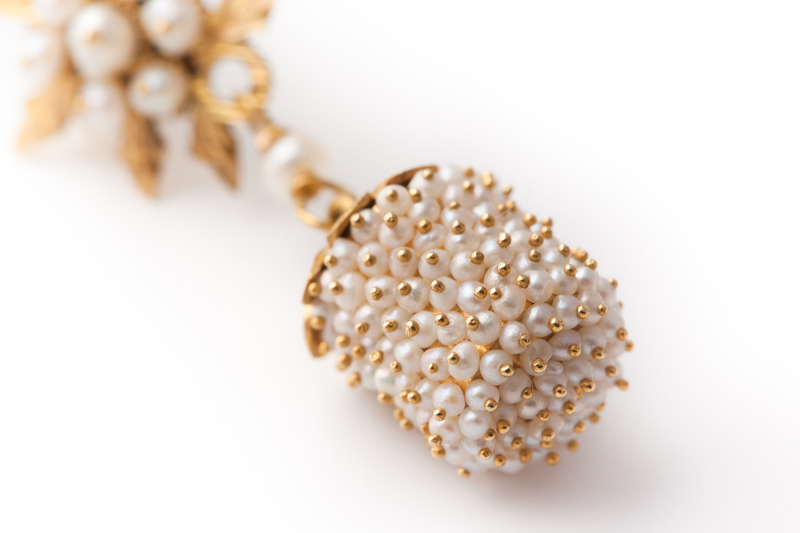 In this precious pendant, the tiny baroque pearls are mounted using a thin gold thread. 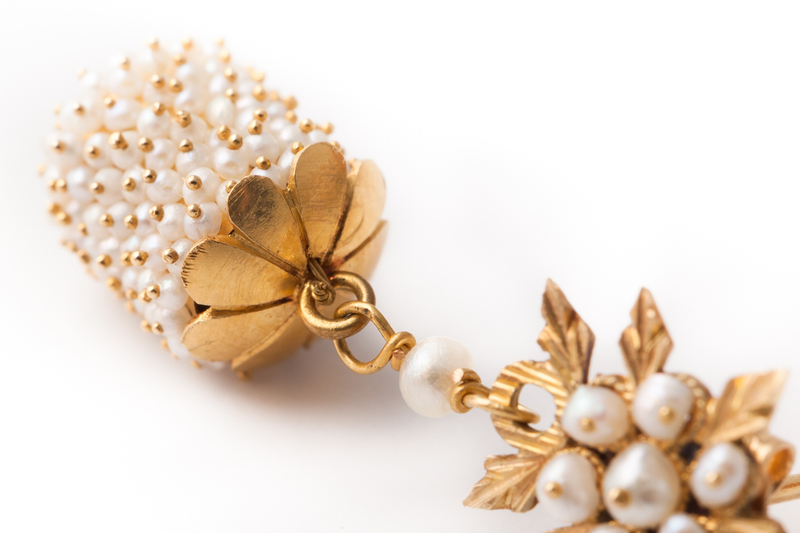 Special attention was paid in the decoration of the upper part of the jewel, featuring fine open-work leaves and hand-engraved.